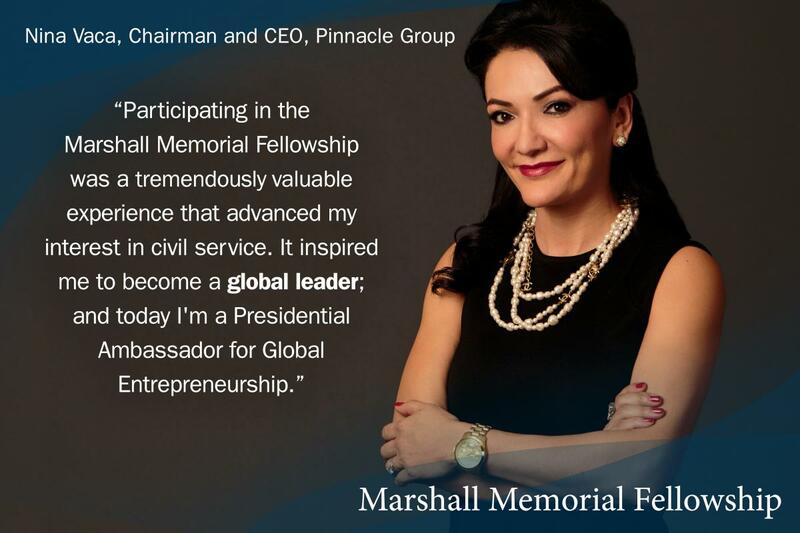 The Marshall Memorial Fellowship empowers emerging leaders from business, government, and civil society for transatlantic engagement and cooperation. 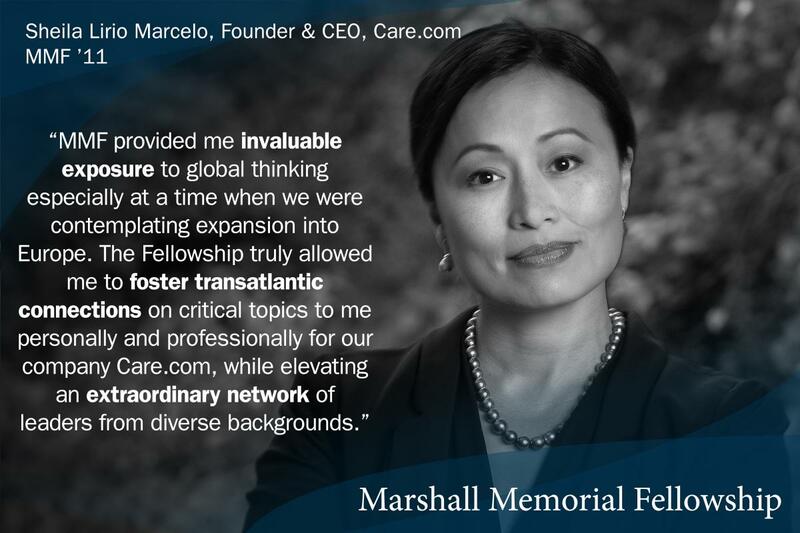 Using a method perfected over more than 30 years of implementation, the Marshall Memorial Fellowship provides an intense learning and networking experience of benefit to those working on issues of shared concern for communities on both sides of the Atlantic. For more information, see our frequently asked questions. Candidates must be citizens of one of the following countries: Albania, American Samoa, Austria, Armenia, Belgium, Bosnia and Herzegovina, Bulgaria, Croatia, Cyprus, the Czech Republic, Denmark, Finland, France, Germany, Georgia, Greece, Guam, Hungary, Iceland, Ireland, Italy, Kosovo, Luxembourg, Moldova, Macedonia, Montenegro, the Netherlands, Norway, Poland, Portugal, Puerto Rico, Romania, Serbia, Slovakia, Slovenia, Spain, Sweden, Turkey, Ukraine, United Kingdom, United States, or the United States Virgin Islands. 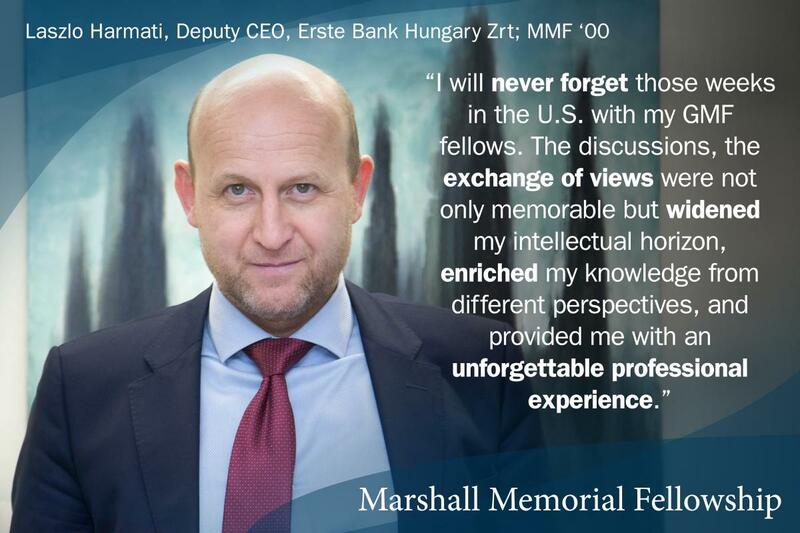 The German Marshall Fund is now accepting nominations for the next cohort of Marshall Memorial Fellows, which will travel in the fall of 2019 and the spring of 2020. If you would like to nominate yourself or nominate a leader for this unique opportunity, please complete the form below by September 27, 2019. All eligible nominees will be invited to submit their full applications in early October. Nominators should be in a position that allows them to evaluate their candidate's leadership profile and character traits. They cannot be a candidate's family member, a Marshall Memorial Fellowship selection committee member, host or selection partners, or the German Marshall Fund’s staff member. If such nominations are not attainable, please apply by self-nomination. Nominators may only nominate one candidate each year, may nominate a candidate from a country other than their own, and may compete for the fellowship themselves in a year other than the one they nominated someone. 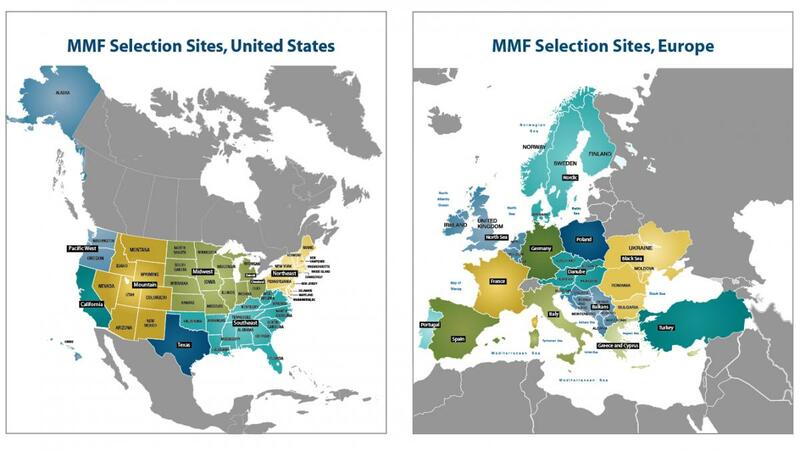 The German Marshall Fund of the United States (GMF) will invite all candidates - those who are nominated and those who are applying directly - to submit their full applications by a set date. The application includes a form, short answer questions, three essay questions, a resume/CV, and two letters of recommendation, and the nomination form. Candidates should not ask for a letter of recommendation from their nominator or a family member, and applicants should not submit letters of recommendations for other applicants. If a candidate meets the eligibility factors but does not have a nominator, the candidate may instead submit the application form and check the self-nomination box. All applicants will be notified of the result of their application by email by April 2020. Selected candidates will be scheduled to travel on one of the two programs the following year, either in the fall of 2019 or spring of 2020. Within two weeks of receipt, all successful applicants are required to sign and return the fellowship acceptance package, signifying acceptance of the terms and conditions of the program, and cover their registration fee. Candidates may apply more than once for the fellowship. 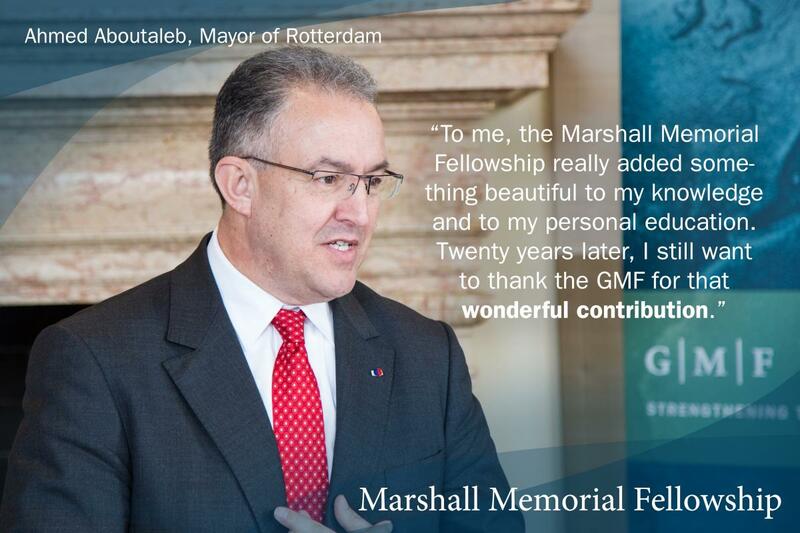 GMF invests approximately $25,000 in each fellow. Fellows contribute to this by covering their registration fee upon acceptance into the program to the amount of $1,050 for Americans and $850 for Europeans, and out-of-pocket expenses during the program of $1,500 on average. 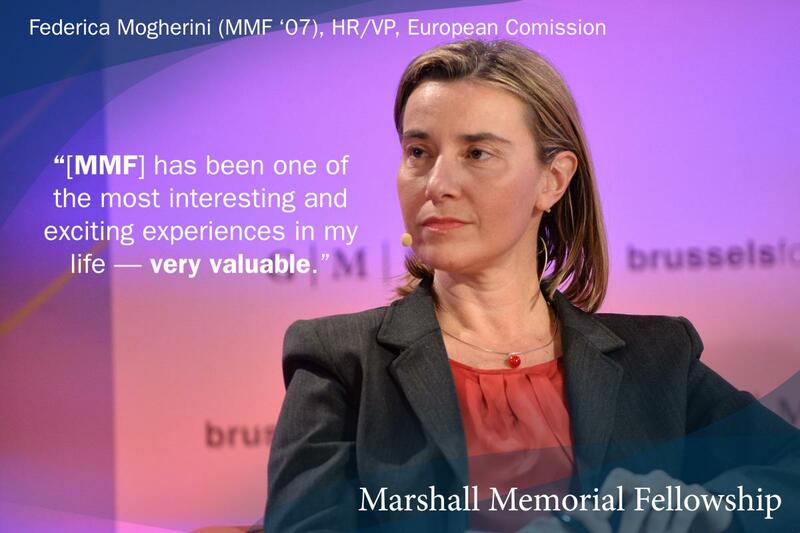 The registration fee, which is lower for Europeans who also have visa expenses, comes with a one-year bronze membership in GMF’s Alumni Leadership Council. A fee waiver is available to those individuals who demonstrate a clear financial need and inability to share costs in this way.